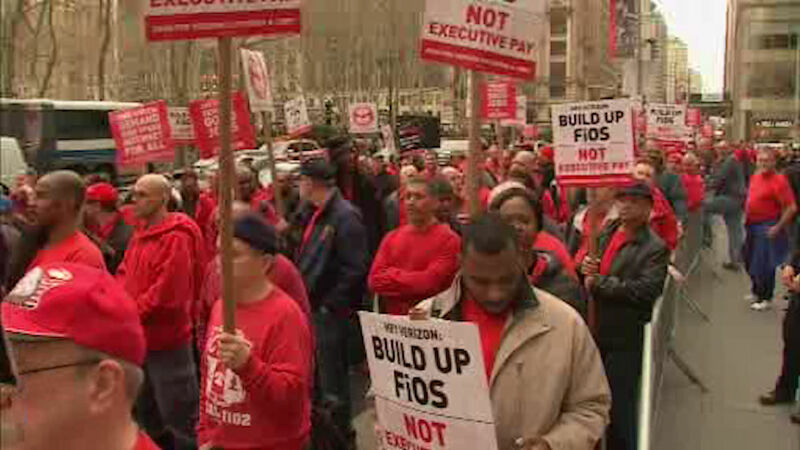 NEW YORK (WABC) -- Verizon workers held a rally outside the company's Midtown headquarters Thursday night as the two sides remain deadlocked in contract negotiations. The unions say they're calling on Verizon to drop demands for worker concessions affecting job security, and health and retirement benefits. A Verizon spokesman says the company recently exchanged several proposals with the unions, but its efforts continue to be met with opposition.